Lightships were important aids to navigation and are an important part of our maritime heritage. They served mariners in this country for 163 years. 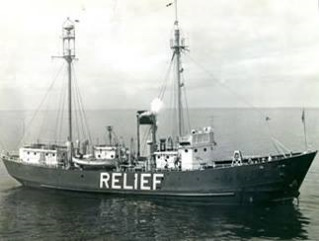 Visit the Lightship RELIEF – WLV 605. Berthed at Jack London Square in Oakland, California, the ship is open on Sat and Sun from 11:00 am - 4:00 pm, Wed 1:00 pm - 4:00 pm. Please email ahead to schedule your visit at: lv605@uslhs.org, or call (510) 992-3545. The lightship is adjacent to the former presidential yacht Potomac, used by President Franklin Delano Roosevelt.